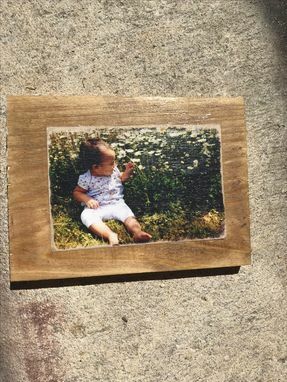 Photo Transfer On Wood! Any Size- From Magnets To Posters! 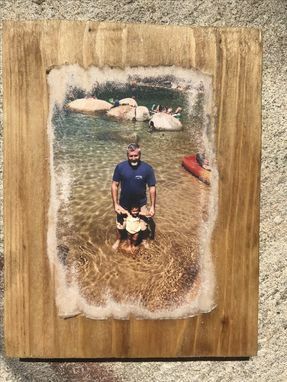 I transfer your photo to wood and age or distress it uniquely. Each piece is handmade to order. 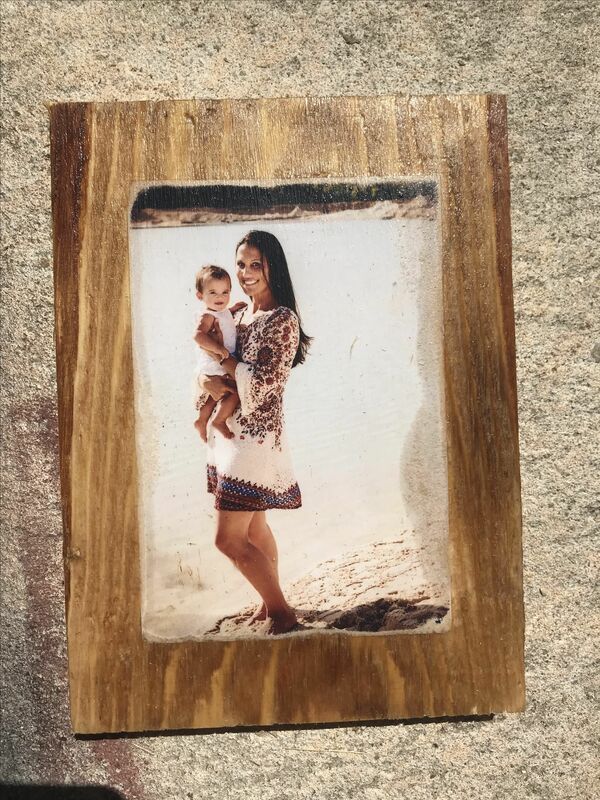 Wooden photos come with all hardware attached to hang on wall. There are several available sizes (if you don't see the size you want, please send me a message and see if we can accommodate) and you can choose to use black and white or color as well as sepia(sepia is same price as color photos-please specify in notes after purchase). Please send me the picture in which you would like it printed-color or black and white or sepia. PLEASE read through the ENTIRE listing BEFORE asking any questions :) More often than not the questions I receive are already answered in the listing. Turn Around Time-My usual turn around time is 1-2 weeks. I try and get orders out promptly but sometimes life happens :) If you will be cutting your "deadline" close please message me to make sure that I can accomodate your order in your time frame needed otherwise you can expect your order in about 2 weeks. I try and send every person a preview of their completed piece after I drop it in the mail and tracking is sent as well. I offer a Rush fee to those that need their order in under 7 days which can be found in my other listings. 1. Purchase your desired size and color. 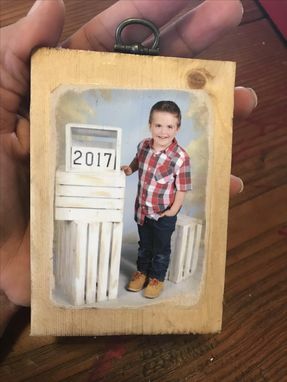 -After placing your order you will need to send me a HIGH QUALITY digital image for the photo you would like me to use. Please understand that we are working with natural products and no two pieces will look alike! Wood is not uniform and will take stain better in some places better than others making every piece different and unique! I use my best judgment on every piece to make it look its best! Please also understand that the nature of the "art" is to NOT be completley perfect meaning that its suppose to look a little more worn and aged not necessarily perfectly uniform and straight. Boards will have knots in areas-I try not to place those knots in areas where they are not desired- ex. face or body. Sizes are approximate and again no two pieces will be the same :) If you order an 11 X 17 picture your actual piece may measure slightly bigger or smaller to allow distressing to edges UNLESS the photo you send me can not be cropped or printed that size then I will contact you or use my best judgment on size and distressed areas to make it as close as I can. I may have to print your file smaller or larger to accomodate splits to avoid going right through someones eye or down the middle of a face. If you have questions or concerns PLEASE contact me BEFORE I start your order as this is a very time consuming and meticulous process taking me 2-3 days to complete. I want you to LOVE your piece and I want to get it to you promptly so please help me to do that by respecting my time and asking questions or making changes before I start your piece :) I look forward to working with you!